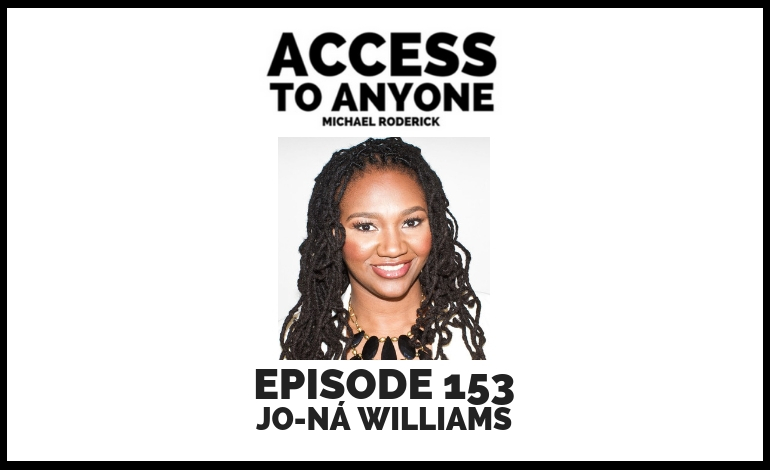 In this episode I sit down with Jo-Ná Williams, an attorney and business advisor who has a lot of great information to share. If legal information feels overwhelming, you’ll want to take some time to listen to this episode because Jo-Ná has a talent for making the complicated completely accessible. Jo-Ná A. Williams, Esq. is an attorney, advisor, founder, and mentor who founded J.A. Williams Law – The Artist Empowerment Firm in 2011 to provide artists entrepreneurs and thought leaders with ways to successfully navigate their careers and provide assistance with business and intellectual property matters. She is dedicated to issues regarding the rights of content creators because she believes they are a population highly vulnerable to exploitation without proper knowledge. Jo-Ná founded Artist Empowerment in 2013 to advise artists on entrepreneurship, branding and sales. Some of her clients have written bestselling books, created award-winning blogs, been nominated for Grammys, listed in the Billboard Top 100, Amazon and iTunes Top Album Charts, and received local and International acclaim. Jo-Ná has been featured in Forbes, Entrepreneur, Fortune, Black Enterprise, Marie TV, and The Root, and has spoken at Facebook, LinkedIn, NYU, and Rent the Runway, among others. She was recently named one of the Top 40 Lawyers Under 40 in the country by the National Black Lawyers. She’s also a certified Reiki Master and yoga Instructor. She’s licensed to practice law in New York.